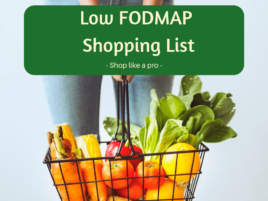 Starting out on a low FODMAP meal plan can be overwhelming. Suddenly you have to think twice every time you eat. 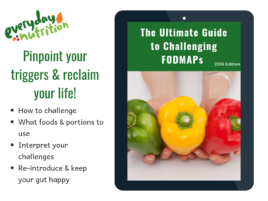 This guide has some practical tips to get you going and on the initial phase of the low FODMAP diet and get your symptoms settled faster. 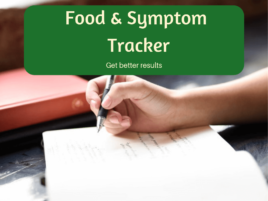 Before switching to a low FODMAP meal plan it is important to see your doctor and exclude serious medical conditions that can cause similar gut symptoms. We also recommend seeing a FODMAP trained Registered or Accredited Practising Dietitian to help you navigate the complexity of the FODMAP diet and make sure you are meeting your nutritional needs while on the low FODMAP diet. Following the initial exclusion phase for longer than 4-8 weeks can lead to alterations in gut microbiome and nutritional deficiencies, so it is important to move to phase two (link to blog on challenging – I might write one on this) after this time. There is no rule about when is the right time to start eating low FODMAP. But, since it involves making changes to your diet and restricting certain healthy foods, you need to be able to do this without compromising your health. 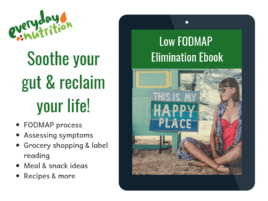 Although it’s not a game of perfect, you also need to be able to physically provide yourself with low FODMAP meals and snacks for the duration of the Elimination phase. If you are stuck for ideas, our meal plans can help. Do you need to restrict all high FODMAP foods? Since FODMAPs can take several hours to cause problems, it can be confusing and difficult to identify your triggers. I’ve seen many people get surprised by what is actually triggering them and what isn’t when they do a structured Elimination and Challenge. To keep results clear and consistent, we generally recommend limiting all high FODMAP foods or portions sizes during the initial phase of the low FODMAP diet. The low FODMAP diet is only just over 10 years old, so research is moving very quickly. Save yourself some stress, download the Monash smartphone app and see a FODMAP trained dietitian to get up to date information about what food is low FIODMAP and can be included in your low FODMAP meal plan. Is the low FODMAP diet gluten free? Is the low FODMAP diet dairy free? Hard cheese & butter only contain trace amounts of carbohydrates and are naturally low FODMAP. How do I add flavours without garlic & onion?